The third HOYfest 2018 at Clwb Ifor Bach is a special weekend in the company of some of the best new and emerging indie and alternative bands. It is a grand display of different guitar sounds and styles, energy and presence. It is a forum where every band on the bill demonstrates nuance and creativity. 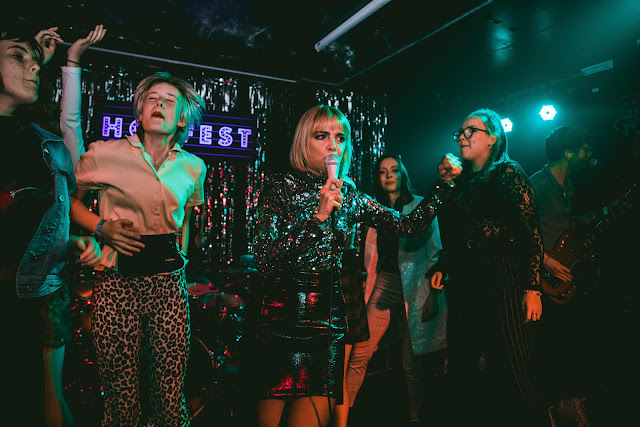 The crowd at this year's HOYfest sees headliner Anteros' Laura Hayden invite girls to dance with her and have a bit of a party, it is a fine way to wrap up the celebrations. Saturday's headliner guitar wonders Himalayas close the Saturday in style by delivering a huge hometown show. Mancunian No Hot Ashes wow the crowd with their funk rock. 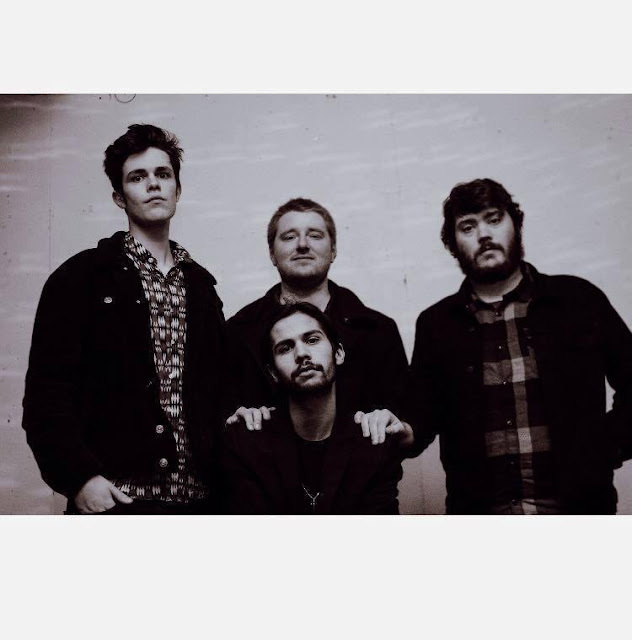 High energy garage rockers headliner The Velvet Hands (accompanied by Red Telephone, Pastel and Caspians) take full charge of the stage on Friday night at The Moon where they play to an enthusiastic crowd. Liverpudlian rockers Red Rum Club impress with their down to earth but fascinating psychedelic tunes. But HOYfest is not all about bigger names and headliners. This festival caters for and represents a diverse range of indie and alternative bands who are talented and of high potential. All the bands are at different stages in their careers and giving the festival a strong rewarding edge. There is a focus on developing new bands, nurture, them and be part of their journeys and futures. Sam Hoy is the promoter, festival director and founder and musician behind the three-year-old festival. A dedicated and hard-working music professional, he continues to do a lot for the scene in Cardiff and his work seems to have an impact on Wales and the UK as a whole. He is keen to make the people of Cardiff go out and enjoy live music and he has been putting gigs on for a good while. It's All Indie wants to hear from a couple of the bands who performed at HOYfest to get a feel for how things are from their perspective. Celyn Thomas plays guitar in the band SSSnakes who performed on Saturday afternoon and guitarist James Wilson is in Cardiff based band The Rotanas. The two bands will soon share the bill for This Feeling in Cardiff early next month. "Sam did a great job at organising it, says James, "Everything felt secure and well managed by a great host and this makes a huge difference. Some events can feel a bit hap-hazard but we didn't feel like at all with HOYfest. Everything happened as and when it should because the artists were very well looked after it meant the whole event was well spirited and everyone could enjoy this country's finest up and coming bands with peace in mind." Celyn and James both agree that it was a line-up dominated by quality. 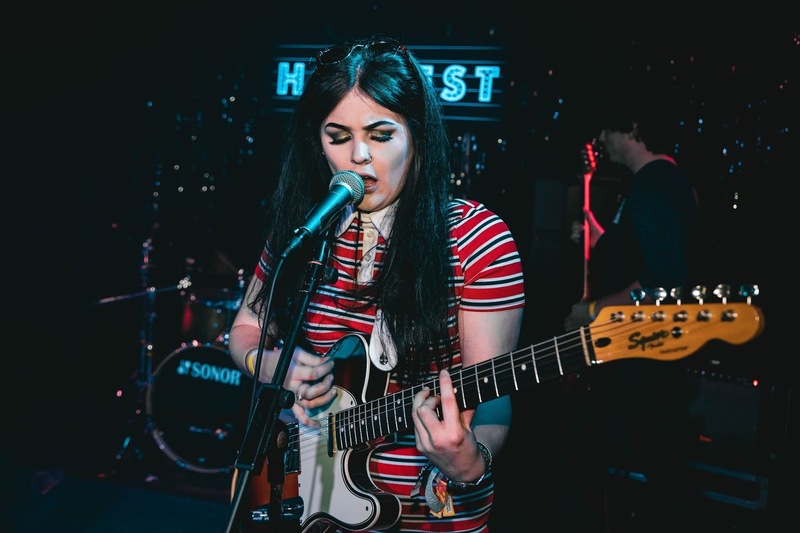 "Having been my first year attending and playing at the festival I had big expectations and they were certainly met, says Celyn, "The bands were amazing and it was great to see so many local bands on the line-up and that is really what stands out to me." 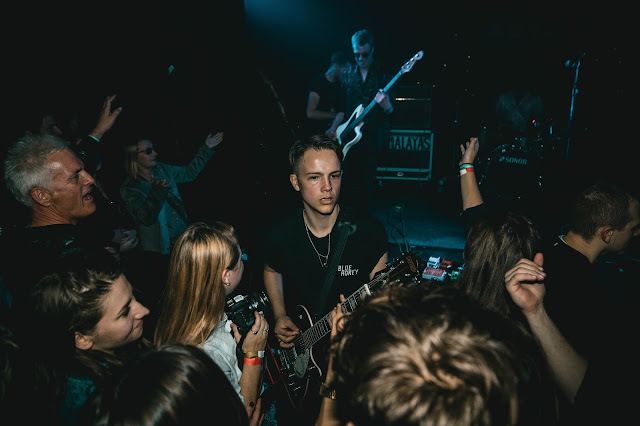 "We are fans of the bands on the bill anyway as punters, continues James, "To play with them was an added incentive to make sure we impressed to secure the gig. Our Spotify playlists that we listen to whilst out and about are compiled of a lot of the bands on the bill this year. 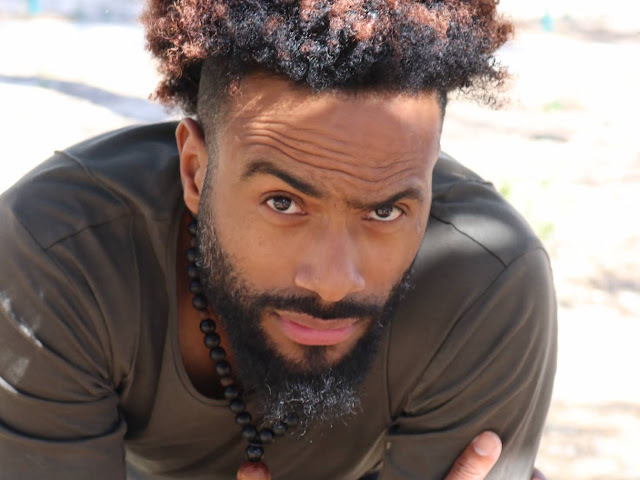 Huge credit to Sam and his team for securing the artists this year, the lineup couldn’t have been much bigger without it involving bands on major record labels." Cardiff's The Rotanas and SSSnakes from South Wales Valleys deliver two interesting sets. Having just released their debut single Man For The Job, The Rotanas now have a track so they can sell themselves. There is a swagger and confidence about their performance. They are clearly ambitious, serious about what they are doing and could be on their way to bigger things. SSSnakes also have ambition, attention to detail and they care about their songs. Having an entertaining frontman really helps and Ellis Williams definitely offers that quality. Shouting out 'lager lager lager' is more than likely to win people over, it remains an effective way to make an impact in most live music environments and is a great way to connect with people. Other bands of high potential playing that day include Swindon's finest Getrz, Bridgend's Fire Fences, PJ's Taurus Club and Bute. 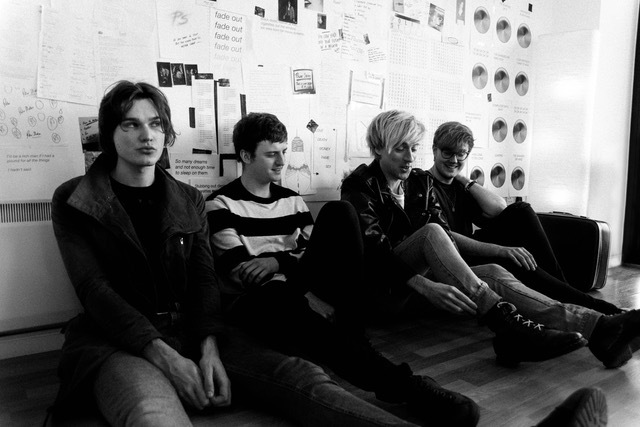 Taking some inspiration from The Arctic Monkeys and The Strokes, is Cardiff's Bute. Their Gigslutz supported debut single Can You Hear Me is delivered with attitude and their catchy guitar riffs and consistent rhythm section makes them stand out. Next up on the Saturday bill are The Pitchforks, fresh from Neighbourhood Festival and Reading and Leeds are The Scruff, north Yorkshire's Avalanche Party who are making a strong impression on the live music circuit in the UK, Blackwaters from Guildford and headliner Himalayas, who are playing HOYfest, in their hometown, for the third year in a row. Himalayas are a sensation. 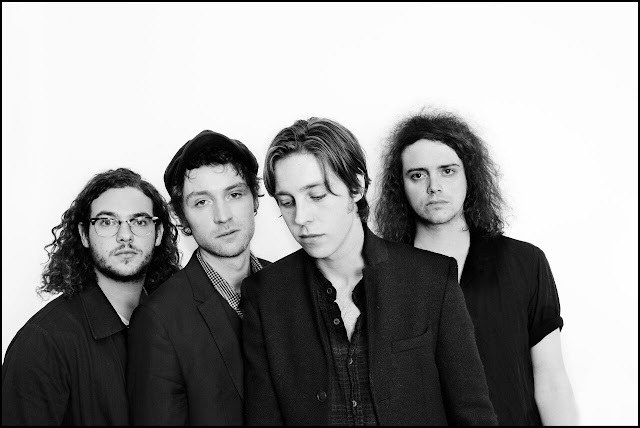 In a short space of time they have become one of the most talked about indie bands. In addition to their success on Spotify, they have played a string of major festivals, supported big acts and played in the States and Europe. There is a sense that this is only the beginning with far more to come. Next on their cards surely must be to get a good record deal in place so they can release their debut album. But it is worth waiting for the right opportunity. Here at HOYfest Himalayas deliver a big grand finale set, there is raw energy, confidence and professionalism. Their set consists of their best and most well-known songs (Thank God I'm Not You, Sigh On A Hurricane, The Mirror and Ecstacy) but they also play a couple of new songs, and the crowd really takes to the new material. Another thing that makes tonight different is that they play their debut single Cheap Thrills as an encore, it is a rare moment. Himalayas are super-professional in their approach and have a strong focus. They really mean business, in the best way possible. It is refreshing to see such an attitude because if there is one thing bands need today, on top of their creativity and talent, it is business skills and an understanding of how these things tend to work. The Pitchforks are building their reputation as a skilled indie guitar four piece who writes excellent songs and delivers on the live front. Saturday at HOYfest is no exception to that idea. Having played Festival No 6 this year, the band also announced that they will support Trampolene and The Blinders this autumn. Earlier this year they released their new single Waste Of A Day. Produced by Gethin Pearson, the song became a Gigslutz Track Of The Day. On this Saturday they deliver high energy and pace and The Pitchforks are definitely moving up and it is rewarding to see the band gain recognition and support. There is a different vibe to Sunday's HOYfest line-up, and it feels good to be reminded of the range of new music the UK has to offer. Sunday has more of a dance and electronic element to some of its bands. 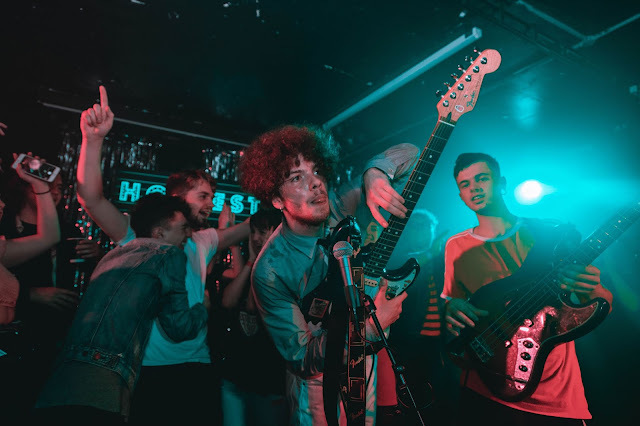 Manchester's authentic indie funk 'n' rollers No Hot Ashes are high up the bill and their show is a real celebration. There is a level of complexity to their music, on the one hand it is about having fun and have a dance, yet a the same time, their lyrics are political and there is a social conscience. 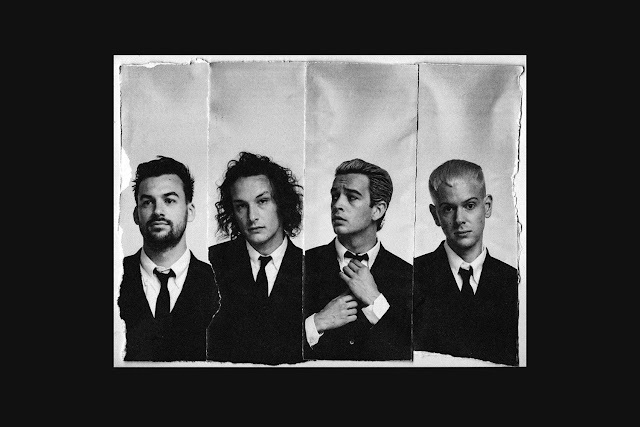 BBC R6 Music's Steve Lamacq once talked about how he tends to like bands who either have a very similar look about them or band members who all look entirely different from each other. No Hot Ashes probably fit the latter category and it really works and what they do is exciting. Their HOYfest performance is dynamic, relevant and absorbing. Isaac has a strong personality and is a good frontman. Dressed in a dark shirt, ripped white jeans and black Doc Martens his style is direct, honest, confrontational and versatile. He almost demands your attention. Their songs are unmistakably Mancunian in sound and vibe and songs such as Eight Till Late and Bellyaches really demonstrate that point. A bigger festival crowd would have worked well for No Hot Ashes but this one here is incredibly responsive. Liverpool's Red Rum Club have been selling out big venue spaces in their hometown, they are getting a lot of attention and have already been abroad as the band recently visited South Korea. Having all members dressed in black somehow makes them stand out more. There is something quite humble, genuine and completely unpretentious about them and their uplifting psychedelic songs. Also appearing on day two are talented bands such as Bristolian indie act, Fossette, Cocteau Twins influenced Heavy Lids, haze pop act XY&O, Jumanji from Brighton, Birmingham's North Parade, Cardiff's own Hunter From Fremonte and Carolines. Carolines write songs of a high quality and deliver a polished set. Who knows maybe the future will see them reach territories other than South Wales. There is no doubt that the need for HOYfest is there. 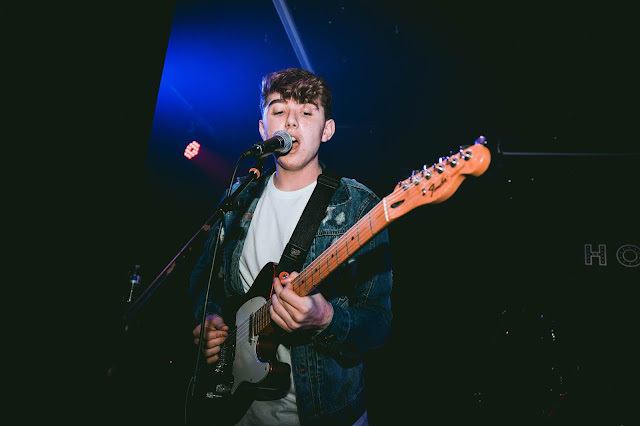 It does a lot of good for the music scene, not just and and around Cardiff but Sam's efforts are also reaching the surrounding areas and the rest of Wales and that all really helps mapping the guitar music scene on a wider UK scale. It is important that this festival can continue to run, grow, develop and support bands. "I feel as though HOYfest is really important to the Cardiff and Welsh music scenes as the line-up features so many local bands of different calibers, says Celyn, "This gives every type of band the opportunity to get themselves out there. It is definitely an amazing stepping stone for so many bands." "HOYfest is incredibly important as it compiles the finest indie and alternative acts the UK has to offer for the pleasure of the public of Cardiff whilst also offering opportunities to up and coming Welsh bands and artists to prove their worth on a big stage says James, "We learnt a lot from watching bands who are a couple of rungs up the ladder from us and we want to do what they are doing, so it was invaluable for us. It has made us hungry for more, not that we weren't starving already."